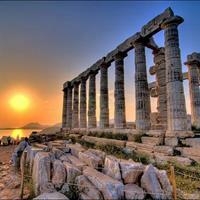 Second only to Hawaii, Europe is the choice destination for romance-seeking American couples. And for a good reason: after all, they will always have Paris, should they choose to visit, but also Venice, Rome, Barcelona, and whichever major city they might fancy. Here are our (and our travelers') favorite romantic destinations, in all the combinations we deemed feasible. If you haven't done it already, you have to travel by train in Europe! 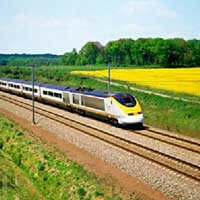 A popular (and romantic) package through Europe, touring 4 spectacular cities by train and air! 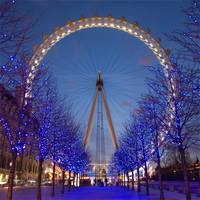 Start in London (Royal Palaces, arts, culture and nightlife) and then take the train to Paris (known as an endearing, romantic city with unmatched atmosphere). 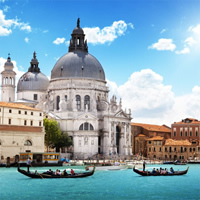 Fly to Venice (another city renowned for its conduciveness to romance, gondola rides along the canals and stunning palaces) and take the train to Rome (Italy`s treasure with centuries of artistic achievement, the Vatican full of religious history). This is a flexible vacation package. Select your number of nights in each city, desired hotel and activities. 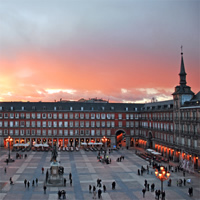 Visit two of the most romantic cities in Europe! Begin in stunning Paris (the City of Lights, with museums, world-class shopping and incomparable cuisine) then fly to Venice (set on gorgeous canals, intimate Gondola rides will guide you past sumptuous palaces and under sculpted bridges). This is a flexible vacation package. Select your number of nights in each city, desired hotel and activities.